High flow reverse osmosis system. 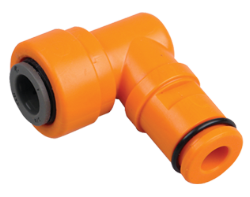 1,000 gallons per day. 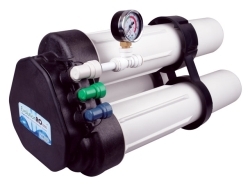 Overview : Use the Hydrologic reverse osmosis water filter Evolution-RO1000 1:1 ratio orange drain elbow 3/8" QC to customize your indoor hydroponic garden. 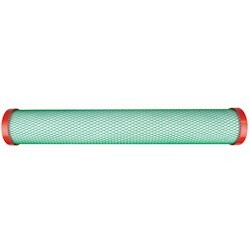 The pleated sediment filters are cleanable by rinsing regularly with a hose. 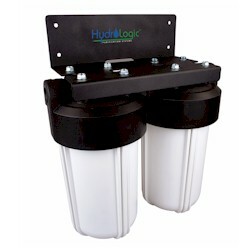 The filters reduces silt, rust, dirt, sand and sediment. 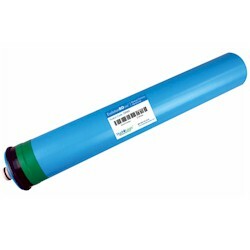 Change filters every 6 - 12 months. #741654 is 10 x 2.5 inches. #741642 is 10 x 4.5 inches. #741606 is 20 x 4.5 inches.